For the past few years I have served on the Polartec Athlete Advisory Board, helping to test and develop new performance fabrics.. The Advisory Board, comprised of 11 world-class climbers, mountaineers, skiers and adventure racers, tests early prototypes of fabrics like NeoShell and PowerShield Pro, before brands like Patagonia, Millet, Mountain Hardware, etc., use them in their garments. 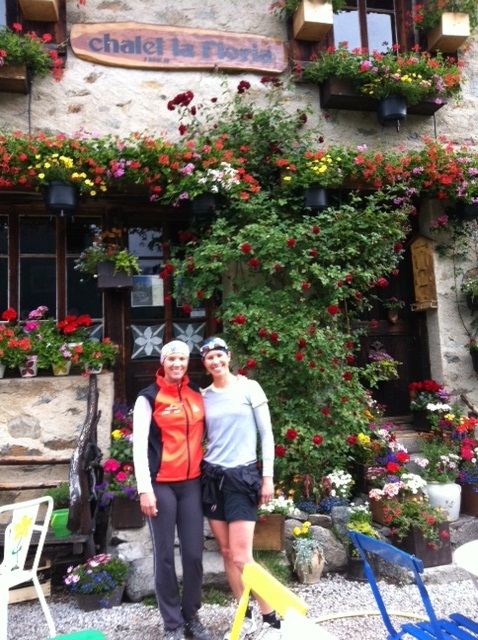 We have had annual meetings in Boston and Aspen, and this year we are in Chamonix, France. After dropping the kids off with Ian’s parents, Ian and I arrived almost a week before the start of the board meeting for a long-overdue, child-free vacation. Arriving in Geneva on Saturday, we rented road bikes on our way out of the city, and then drove to Chamonix to stay with Michael and Nina Silitch. 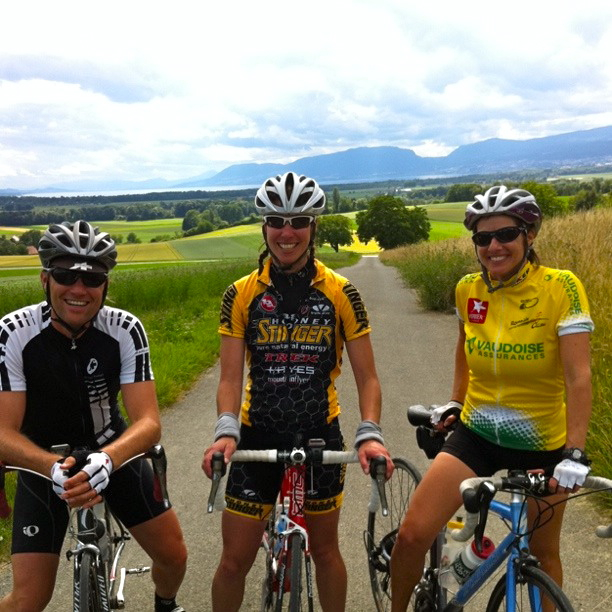 At the last minute, Michael convinced us to enter a 133km road race on Sunday. 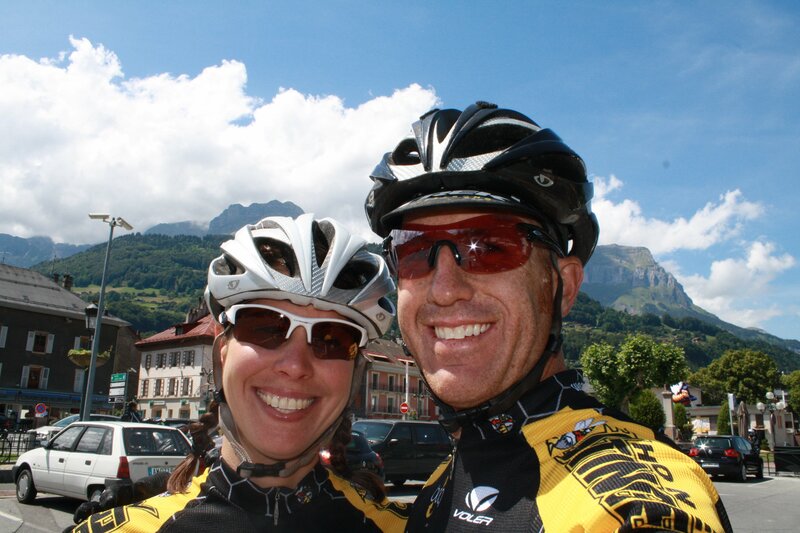 The Time Megeve Mont Blanc turned out to be a great way for Ian and I (along with over 2,000 other French roadies) to ride over some amazing cols and see some beautiful parts of France. I ended up finishing as the third woman in the long race, but missed out on the podium because Ian accidentally signed me up as a man on the French website. I guess we better work on his French. Michael and Nina Silitch were amazing hosts giving us a place to crash as well as joining us out on some cool local runs and rides. 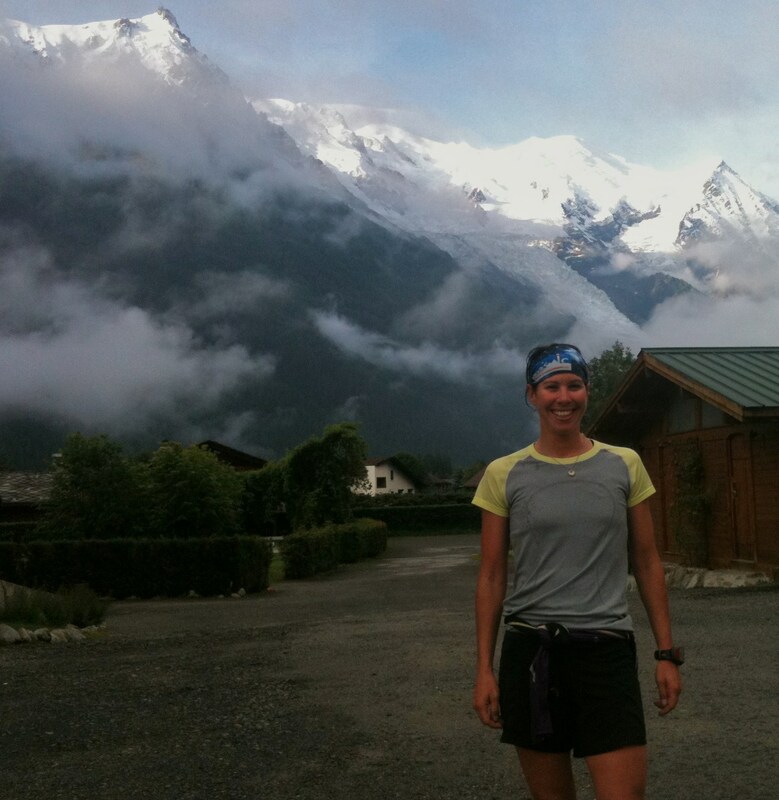 Nina, Lyndsay Meyer and I enjoyed a nice early morning run to Chalet de le Floria on Monday, climbing about 1,000 meters above Chamonix in just under 3 kilometers. 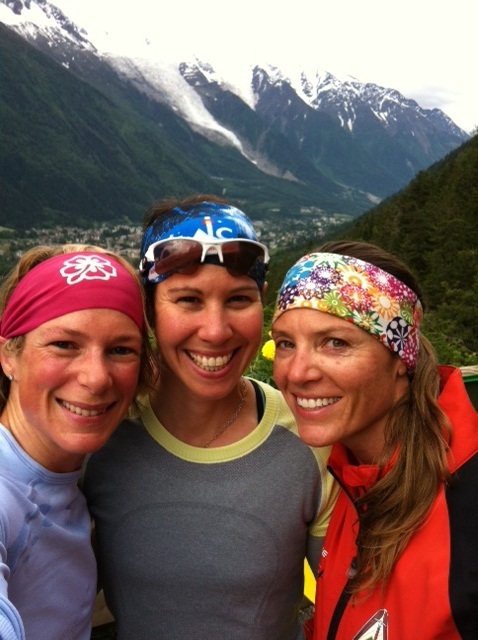 I enjoyed the girl time as much as the great views and training. Ian and I then popped over the border into Switzerland to visit with Vail ex-pats Pezz and Shane Gaherty. We hadn’t seen them in years and we enjoyed an incredible day of catching up and riding around the Swiss countryside near the Medieval town of Murten. Of course I had just gotten a tiny bit comfortable with French and we arrive there to everyone speaking German. Add that to the list of languages we need to work on. 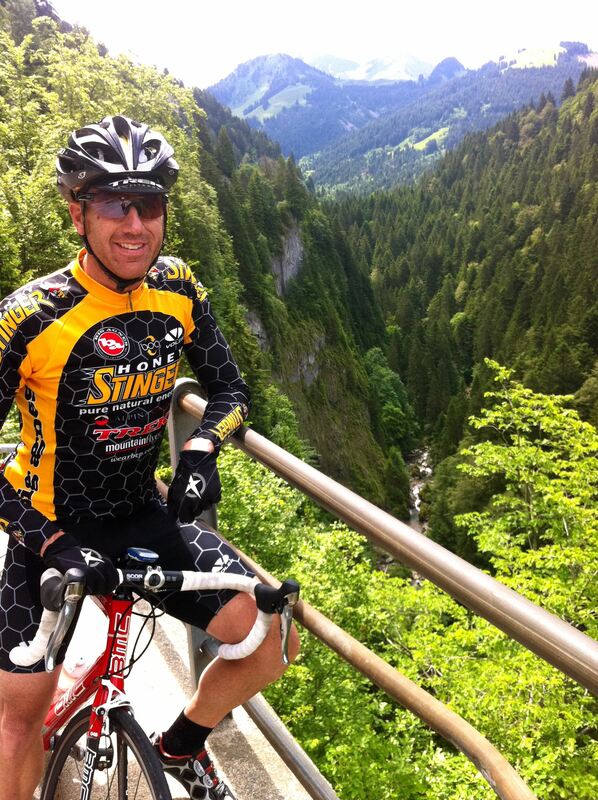 On our way back to Chamonix, we stopped for one more road ride in the Swiss Alps at the recommendation of Pezz and Shane. Leaving from the tiny town of Le Sepey, we climbed the Col de Mosses, rode through Gstaad, climbed the Col de Pillon, and headed back to Le Sepey via Les Diablerets. With another three hours of riding under my belt, I think my total miles for this trip may have equaled my total for the season so far. 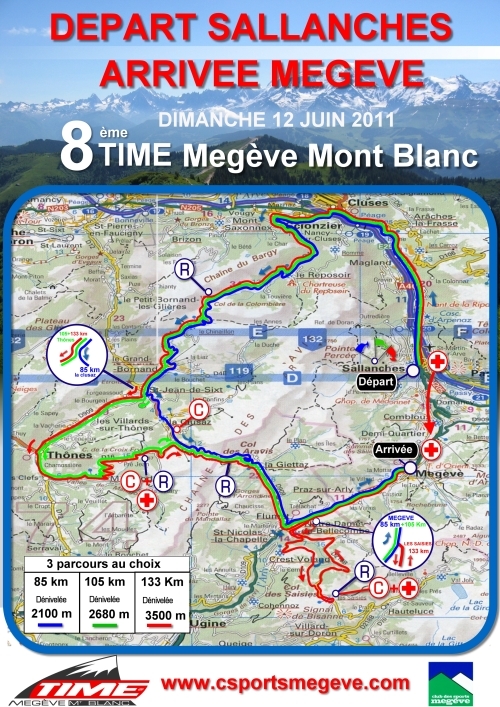 Opting for a day off the bike, Nina and I suffered through some hill intervals on Wednesday morning and then the Silitch’s pointed us in the direction of a hike below Mont Blanc. Starting right from their house, we climbed to Montenvers, checked out the Mer de Glace glacier and then continued to Plan de l’Aiguille. 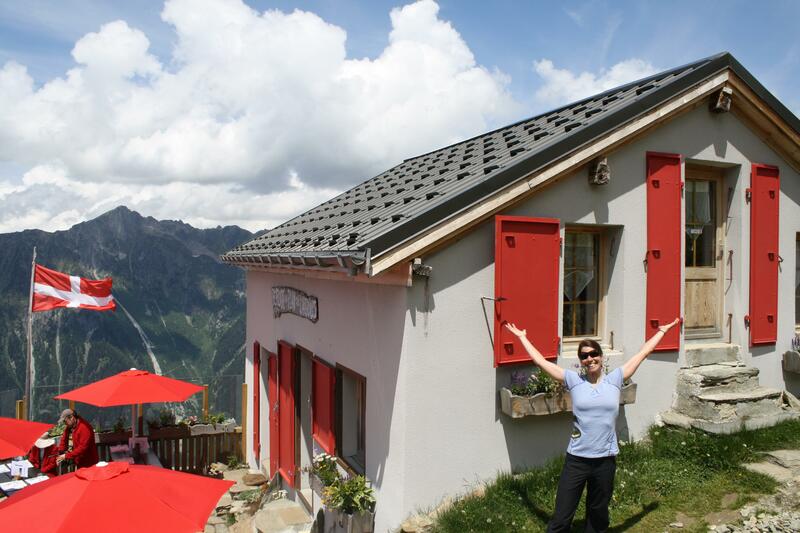 Since we could not spend the night at the Refuge Plan de l’Aiguille, we settled on lunch with amazing views of the Mont Blanc area and the town of Chamonix. With just one day left before meeting the Polartec crew, we decided to rent bikes for one more day. 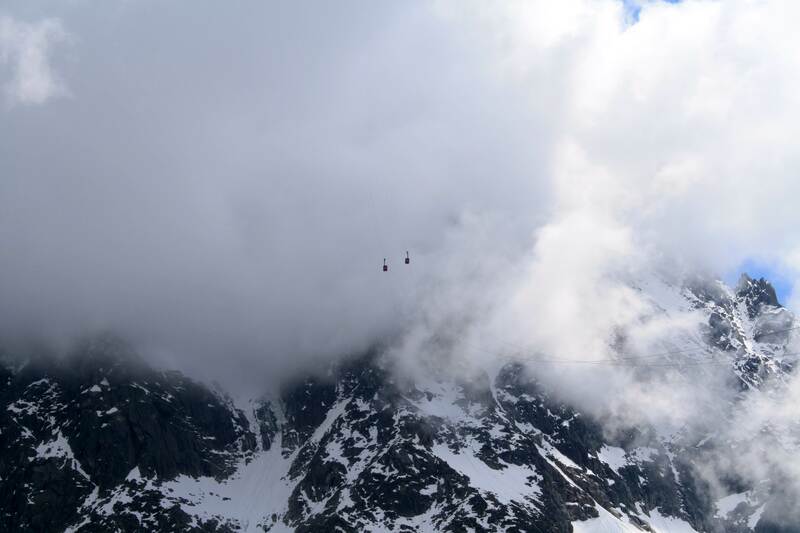 Heading out of Chamonix over the Col de Montets, we then descended to the Swiss border and began climbing to the Emosson Dam above the town of Finhaut. 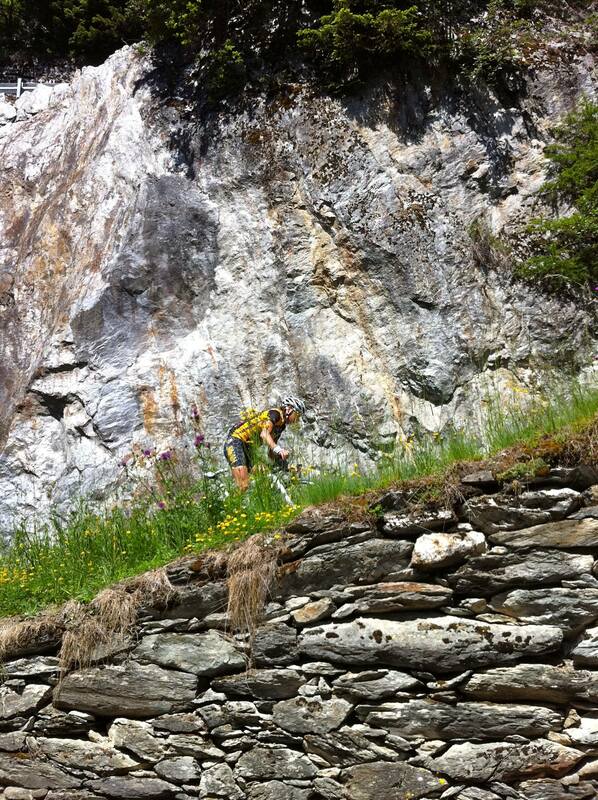 Of course when Michael told us there were two roads to get to Emosson, we opted for the steeper, less traffic option. This would have been fine except the road was closed at one point and we had to sneak across the construction site. And, of course my legs were thrashed from six non-stop days of racing, riding, hiking and running. 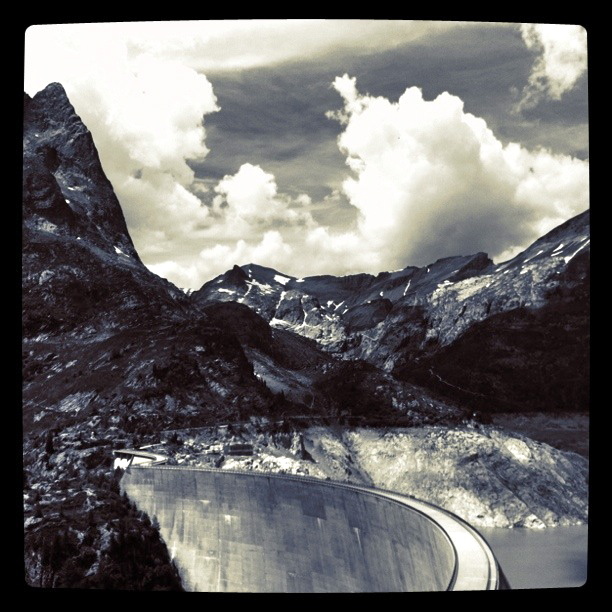 In the end, the long climb to the the dam was well worth the views of the Mont Blanc Massif it provided. On Friday morning, feeling a little tired, I convinced fellow Polartec athlete Laurent Valette to join me for a quick flat run around town before we were locked inside a conference room for the day to discuss fabric. Our meeting was the best yet with many great ideas thrown around and constructive feedback given by all athletes. Unfortunately, torrential rain stopped us from getting up the Aiguille du Midi today but Ian and I managed a very wet, hour and a half hour run instead. According to my Garmin, I managed to squeeze in 24 hours of training this week, which is by far the most I have had in a week in years. Best of all, I got to do it all with Ian – and this has been the best vacation we’ve ever enjoyed together. We are off to Courmayeur, Italyfor dinner this evening and then I am really excited to head home and see the kids tomorrow!